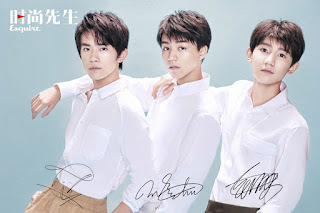 Cliche Niche: NETIZENS: CAI XU KUN NEARLY DEBUTED WITH TFBOYS? NETIZENS: CAI XU KUN NEARLY DEBUTED WITH TFBOYS? It's alleged that when Cai Xu Kun was in elementary school he had the fortune of being selected as one of the trainees for TFBOYS. However, due to his age, his parents wanted him to place his education first and sent him abroad to study. When he participated in Super Idol the media asked how he felt about losing the opportunity to debut with TFBOYS. He said, "I'm constantly participating in audition programs. I want to learn more and mature slowly. Once I've learnt everything I will debut". He also expressed, "No regrets regarding the past". 1. [+4220] Fortunately he didn't enter TFBOYS. Their style is not the same. 3. 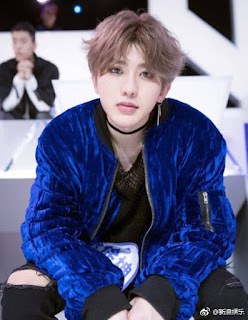 [+2428] Back then, the person in charge of TF said they never considered him What is with the media's pace, bringing out stories from years ago. If you have skills why the constant association. We don't accept it. 4. [+1448] Carrying away my son. Welcoming everyone to pick 17 year old friends. 10. [+398] Since TFBOYS has been mentioned I'll confess to TFBOYS' leader Wang Jun Kai who is a skilled singer, visual and multi-talented artist. NETIZENS: DID 'EXTRA WORK' GO INTO FAN CHENG CHENG? NETIZENS: "CAN YOU FREESTYLE" VS "BALANCE"